It might be far-fetched to consider African cities as distant relatives, better still as half-siblings; all from the womb of Mama Africa, yet bearing a vague resemblance to different ‘fathering’ concepts. A stretch, perhaps… but walk with me for a second. Through the lenses of three photographers, we are able to shed a little light on some of the influences that gave rise to the myriad of monumental and eccentric pieces of Modernist architecture. 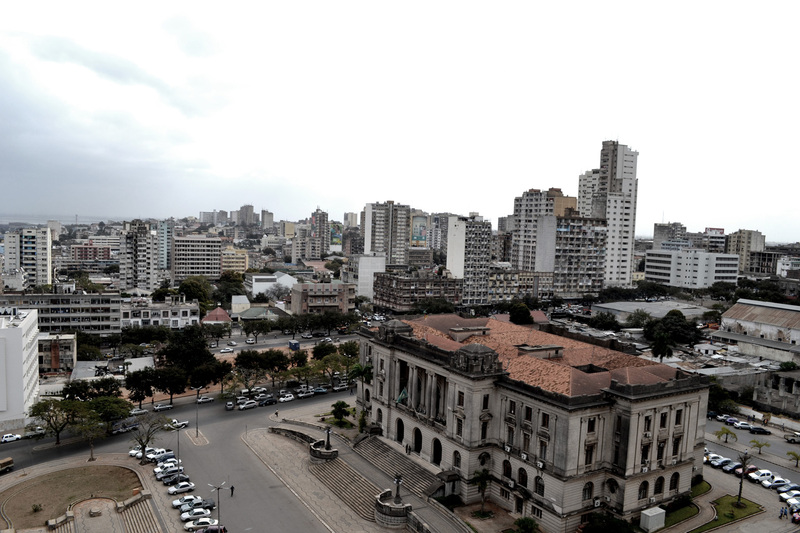 For this we took a look at three diverse African contexts; Accra, Cape Town and Maputo – all peppered with colonial dust bunnies that conform to Eurocentric ideologies yet are imbued with deep-rooted African influences that render them culturally unique. To carefully negotiate a (potentially) political camber, let’s keep our focus on the abstract portraiture of these three half-siblings. This photography series has been curated to express elements of each sibling’s character. Each one has a story and a diverse range of influences through history. 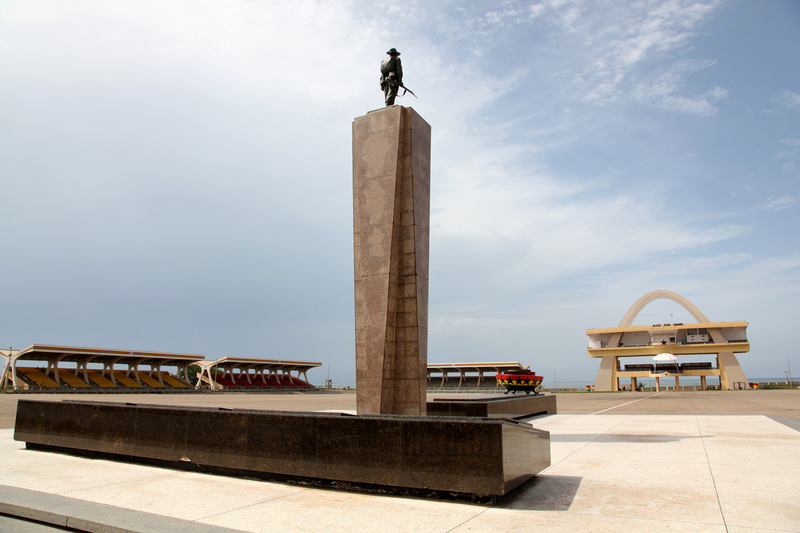 Although Accra may be considered a showcase for Tropical Modernism, an architectural response to the equatorial region – this city also has a rich exhibition of monumental architecture such as the Independence Square pictured above. 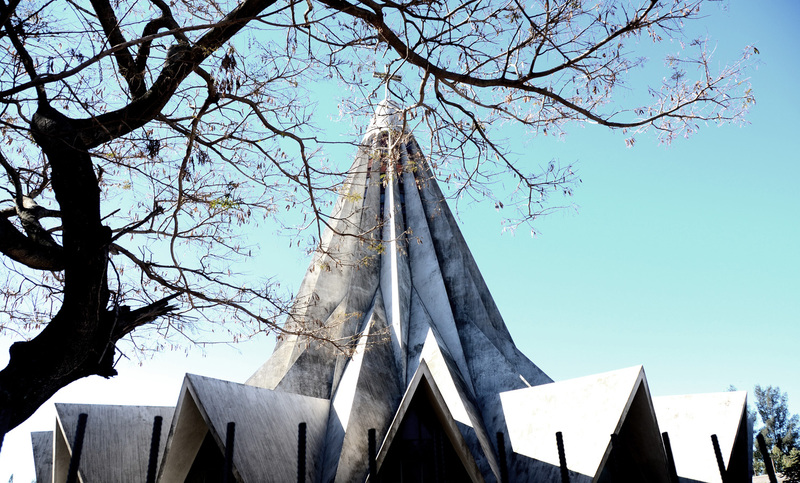 Now, bearing in mind that modernism is underpinned by notions of minimalism, it is interesting to see how the architecture of the region developed around ideas of avant-garde monumentality. As the first African country to gain independence, Ghana led the way towards retrofitting European ideals into a more culturally appropriate expression of form and identity through the infusion of traditional African arts and crafts. 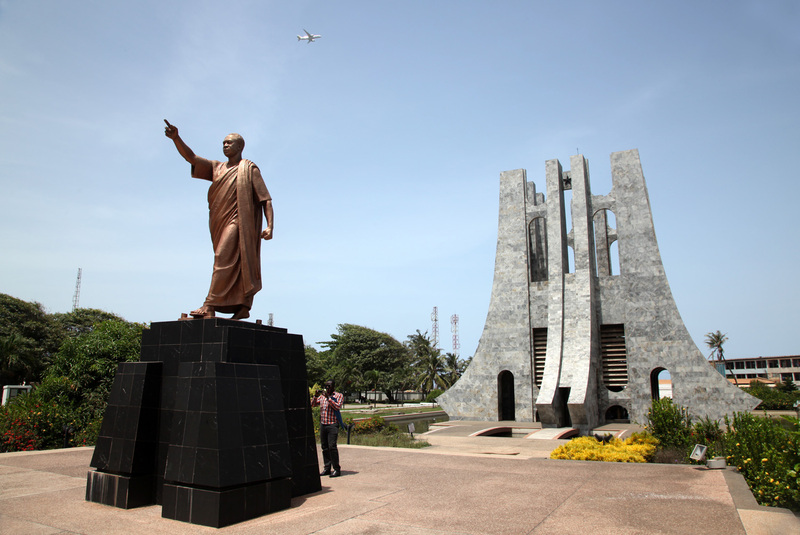 The foremost example of this is the Independence Square, with its commanding attitude to space; commissioned by the first president and liberation hero, Kwame Nkrumah, to honour the visit of Queen Elizabeth II in 1961. 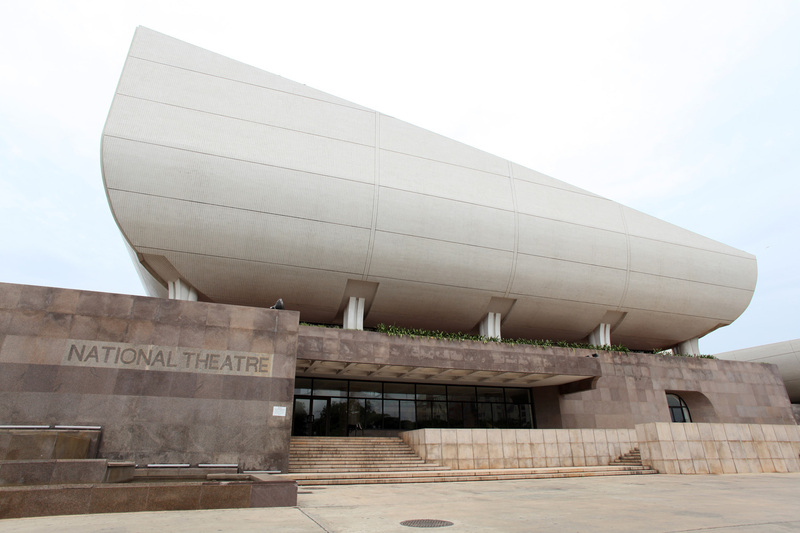 Another good example is the Nkrumah Monument and The National Theatre in their bold gestures and pure forms. These images are elegantly composed, almost exalted; capturing the regal quality of the city’s pride. The Black Star! 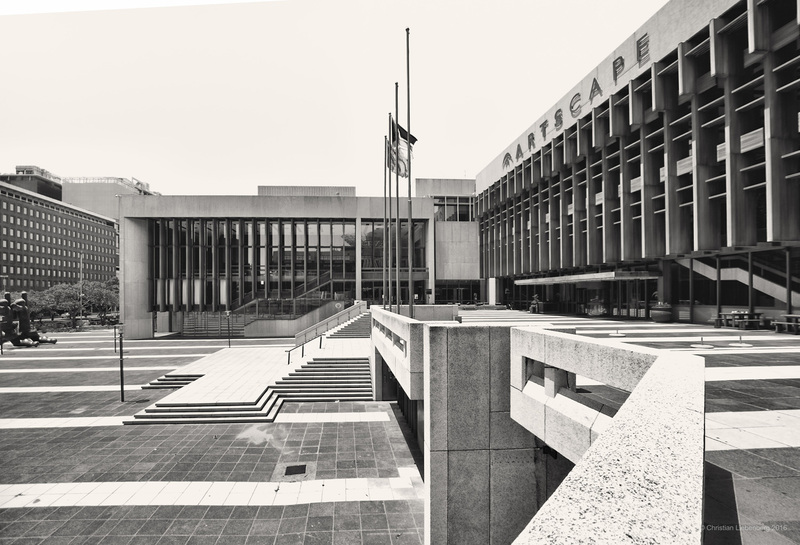 Considering the perplexity of a middle child (that dabbles in all sorts of things through childhood), Cape Town’s history is rather, um… interesting. A city with as much architectural heritage as it has natural beauty; it has lived through a series of stylistic eras – some old, some new and some borrowed. 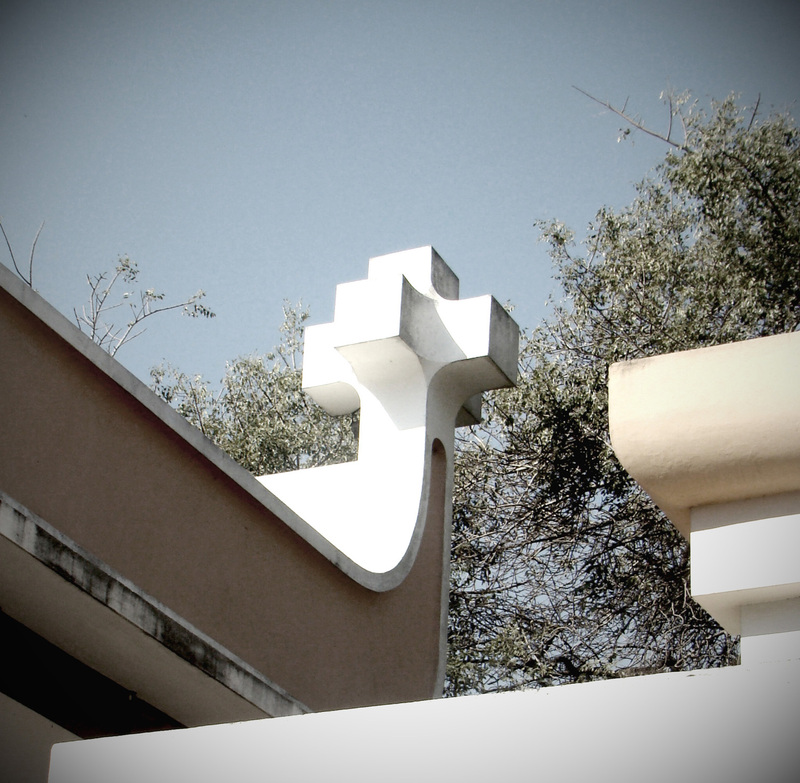 It bears a modernist quality that maintains purist ideas propagated by the early 20th century modernist masters. 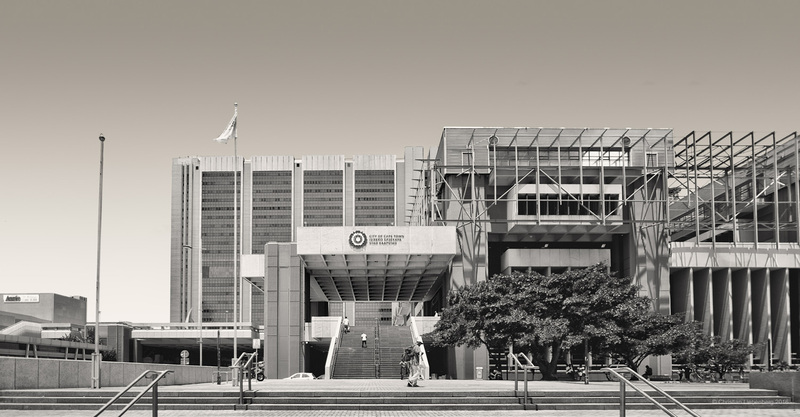 One of the buildings that stand out is (no, not the city’s infamous 60’s modernist masterpiece, Werdmuller Centre), the Artscape Theatre. Standing unapologetically in the city bowl as the centre of attention, it upholds every childhood ideology of purist Modernism. Some find it alienating and others find it welcoming. It is rather brazen in its rigidity, yet completely adheres to the spatial parameters set out by its harsh windswept urban context urban context. The images beautifully capture the spirit of the cold stark forecourt, almost desolate, striving for raw perfection yet suffering the ubiquitous inability to appease everyone. 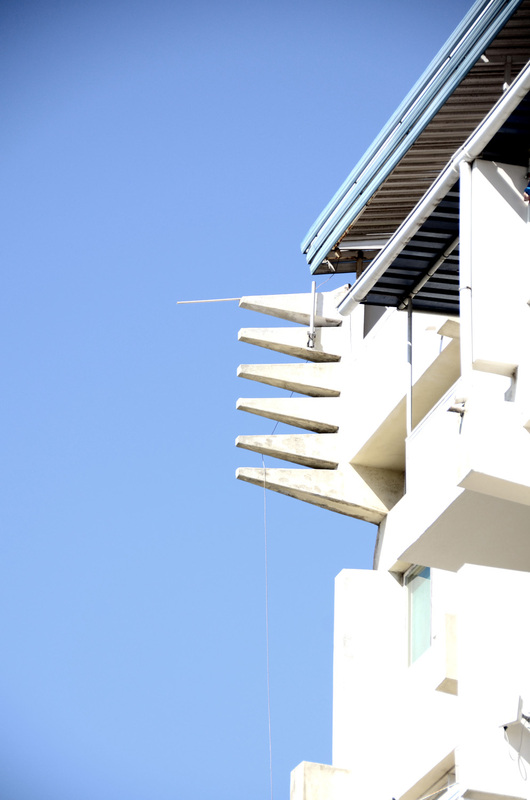 Now, anyone that has ever been to Maputo knows how eccentric this city’s architecture is. A quirky approach to modernism developed to rival the traditional ideals of modernism (Artscape), pioneered in the 50’s by a conglomerate of young rebellious architects called Team 10. This group included Portuguese born Mozambican architect, Pancho Guedes; who had a direct influence on the architecture of Mozambique. Like that mischievous last born, this city is playful yet articulate. It reveals layers to its expression as you explore it deeper. 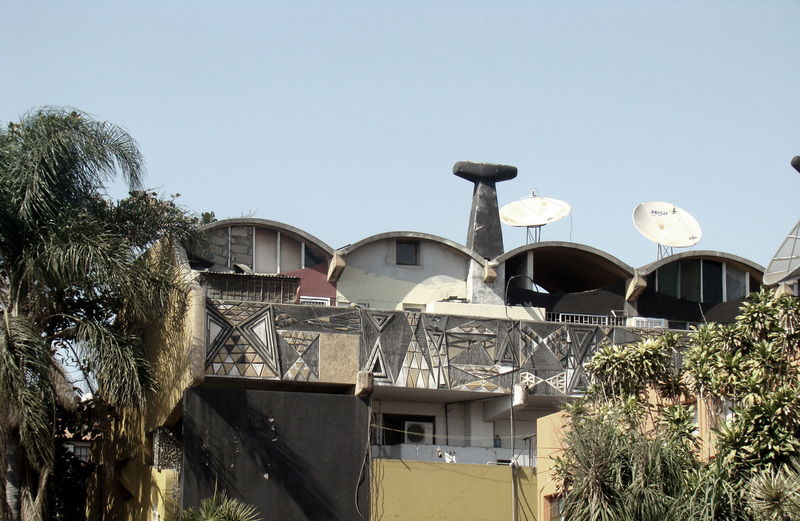 The architecture is animated and almost cartoon-like, with building resembling comical characters embellished with facial features; largely influenced by African craft. It is an exciting place to wander through and accidentally uncover. The images selected intentionally exhibit discovered moments, most of which, in contrast to the bold compositions above, are detailed candid shots. Part II: Less is a Bore?